It’s been hard not to follow the tragic situation coming out of Flint, Michigan. Nearly one year ago, high levels of lead were discovered coursing through the city’s drinking water supply and, as a result, in the blood of thousands of local children. In children ages 6 and under, even low levels of lead exposure can cause irreversible brain damage. Flint is a haunting reminder of the 663 million people (about 1 in 10) around the world who call a similar situation their daily reality – that their only source of water is laden with disease-causing bacteria, viruses and other contaminants that, if drunken, could cost them their life. Nearly 160 million drink straight from rivers, lakes, ponds and irrigation canals; anything else is too expensive or inaccessible. But it’s all there is. The choice is not just between safe or unsafe water. It is between waterborne disease and dehydration. There is a stark relationship between lack of a consistent clean water supply and poverty. In a World Bank case study on poverty, ill health emerged as the single most common trigger for the downward slide into poverty. Those living in poverty described their lack of safe water as one of the greatest causes of their ill health that, in turn, created increased poverty and an obstacle to escaping it. 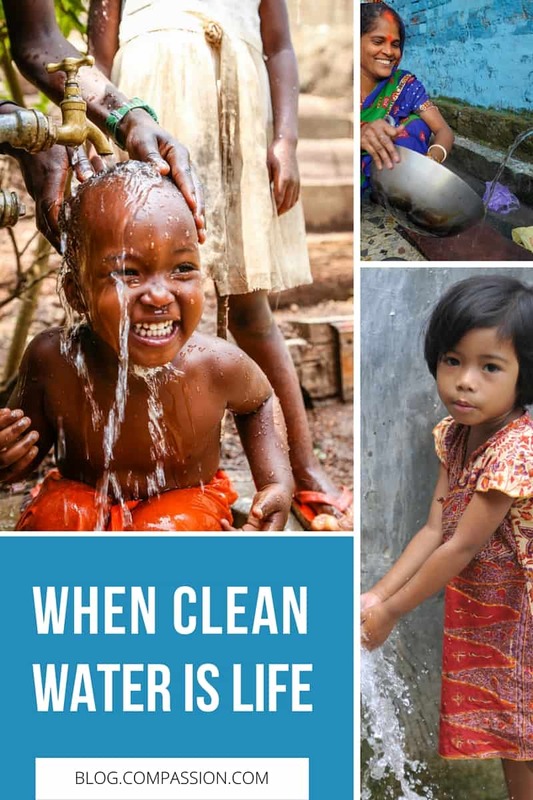 About 1.8 million people die every year from easily preventable water-related diarrheal diseases; 90% of these are children under 5, and most live in developing countries, according to the World Bank. This daily struggle to obtain water – dirty or clean – is one of the greatest burdens of families living in poverty. Every day, families are forced to choose between paying for water, food, school or medicine. They are stuck in a dirty water cycle of illness, poverty and hope deferred. Those living in poverty actually receive very direct benefits from improved water and sanitation in the form of better health, reduced health costs, increased productivity and time savings. Studies show that just a 15-minute reduction in water collection time significantly reduced rates of under-5 mortality and diarrheal disease, and greatly increased school attendance and household earnings. It is estimated that 91 percent of people worldwide now have access to an improved source of drinking water, compared with 76 percent in 1990. But in least developed countries, such as in sub-Saharan Africa, only 69 percent have access to clean water. 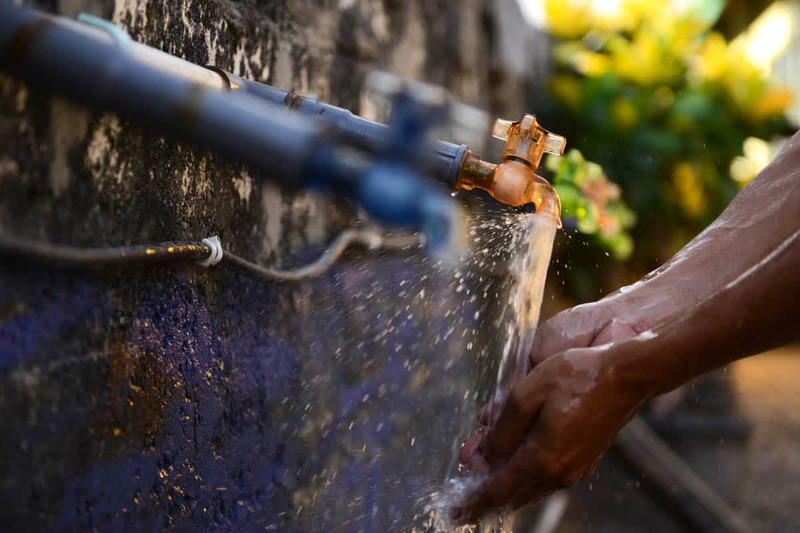 While efforts to bring safe water to the entire global population are rising, progress to improve global access to improved sanitation facilities has fallen furthest behind. In 2015, the WHO/UNICEF JMP projected 2.4 billion people – 1 in 3 – still lack access to a toilet. To obtain the full benefits of clean water, such as better health and poverty reduction, involves complete access to three synergistic parts – improved water, sanitation and hygiene. 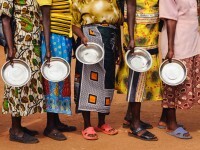 According to Herb Ehresman, Compassion’s director of complementary interventions, including the ministry’s water, sanitation and hygiene (WaSH) efforts, sanitation is the most pressing and underserved piece of that cycle. “If someone drills a well in your village but everyone continues to practice open defecation, there aren’t going to be as considerable health outcomes as there would be with improvements to sanitation,” Ehresman explains. Take Juampas, a small village in Lascahobas, Haiti, where children, like 17-year-old Maykelson, gather at a one of our child development centers at the local Baptist church. 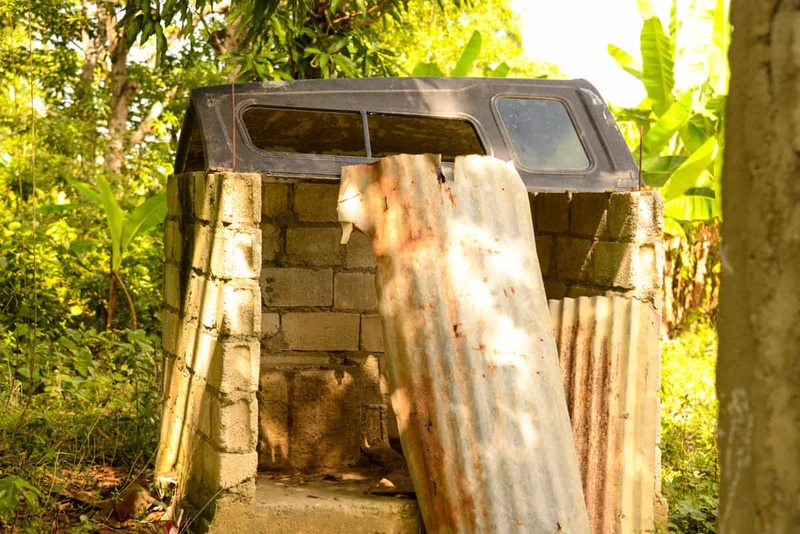 For years, there has been only one pit latrine, which is no more than a hole in the ground, for the entire village. But it was constantly backed up and no one could afford to clean it, rendering it unusable. Most chose open defecation rather than being closed in a fetid, dark and a poorly maintained toilet. “It was difficult to see children squatting down and getting comfortable right in the open in front of our bare eyes. 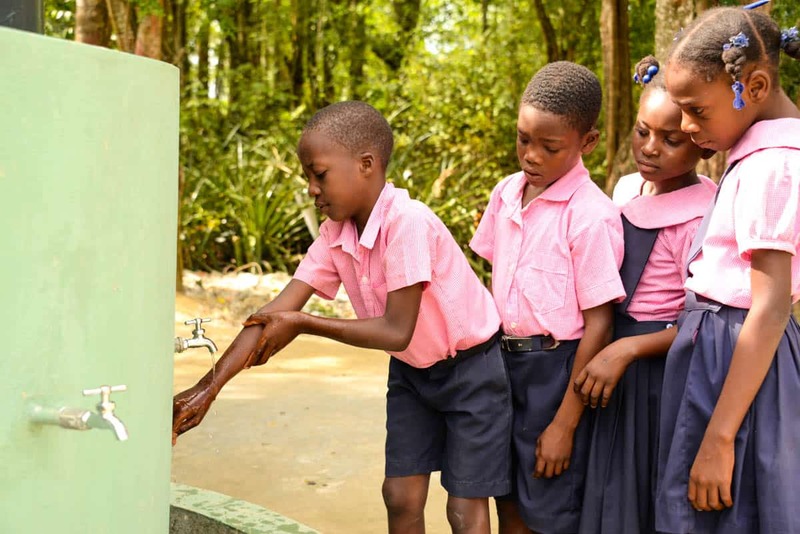 Besides, washing their hands after using the bathroom didn’t seem to be a priority,” said Marie Dominique Jeanty, Compassion’s Ministry Services Manager, who manages the country’s WaSH (water, sanitation and hygiene) program. 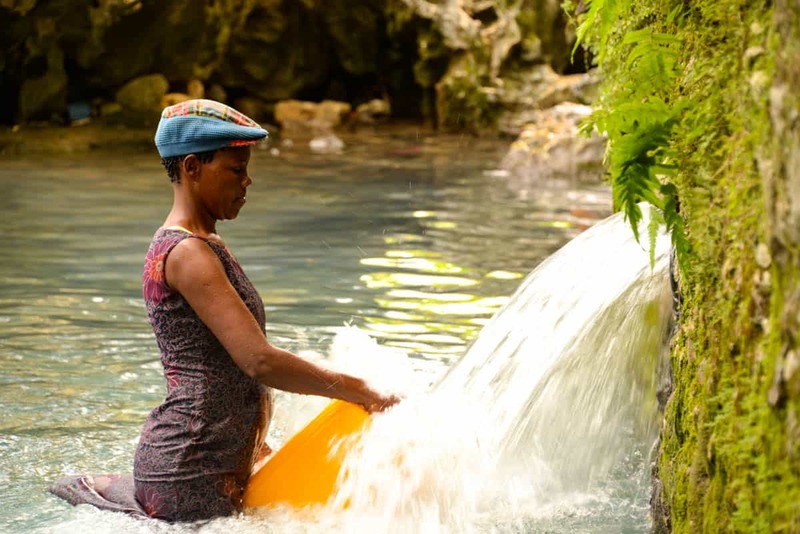 In 2014, she and other Compassion Haiti staff set to work on a large-scale WaSH project that would bring safe water, clean sanitation facilities and hygiene education to 12 Compassion centers and more than 10,000 people, including Maykelson and the entire village of Juampas. In December of 2015, new bathroom facilities were completed at the child development center in Juampas, and parents and children attended educational meetings about the dangers of living amid poor sanitary conditions and the importance of practicing good hygiene, like washing hands with clean water and soap, which could prevent 600,000 deaths a year. 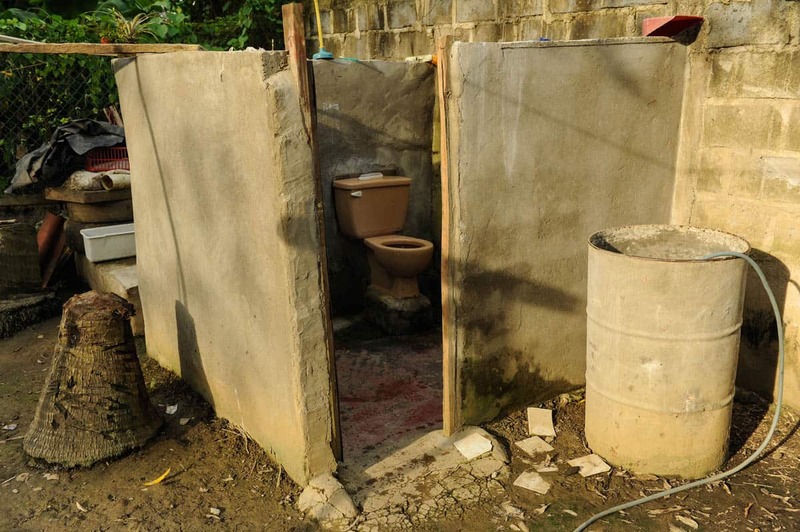 In the coming year, construction on additional bathroom facilities for residents of Juampas is scheduled to begin. 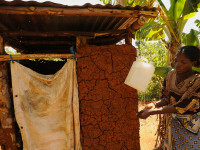 “With good latrines in our village, we will be less vulnerable to cholera, worms and other diseases,” said Maykelson. The addition of bathrooms has also brought a joyful challenge for the Compassion staff in Juampas. 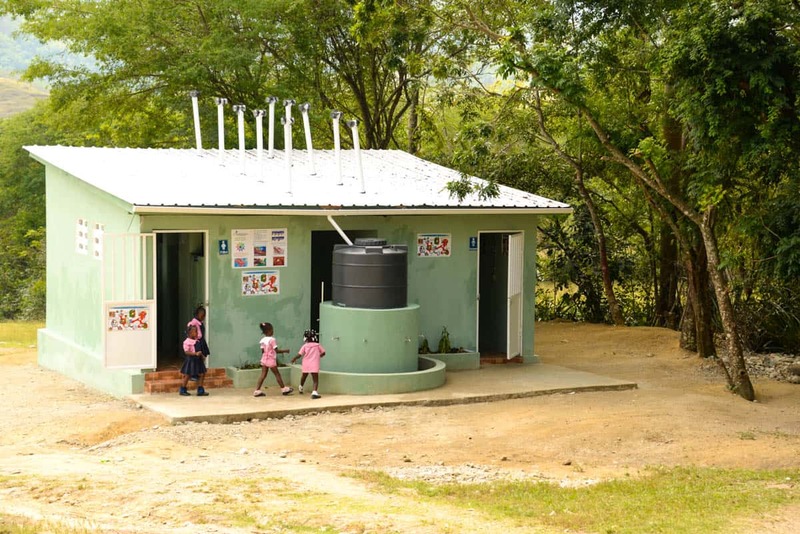 “It is difficult to get children to leave the facilities in the project once they are done because they are so fascinated by their cleanliness,” said project director Sylvestre Pierre. While the community of Flint is wringing its hands with worry over children made ill by the only drinking water to which they had access, half a world away, the same scene plays out each day. Water is as central as the sun and the moon. No matter where you live, its absence and degradation is equally as devastating. Join us this World Water Day – Tuesday, March 22 – in delivering clean water to more children and families living in poverty by donating to our Water of Life. Your generosity will bring safe water for life (over 1 million gallons) to a child and their family; provide training on improving hygiene and sanitation; and improve community water and sanitation sources where needed. 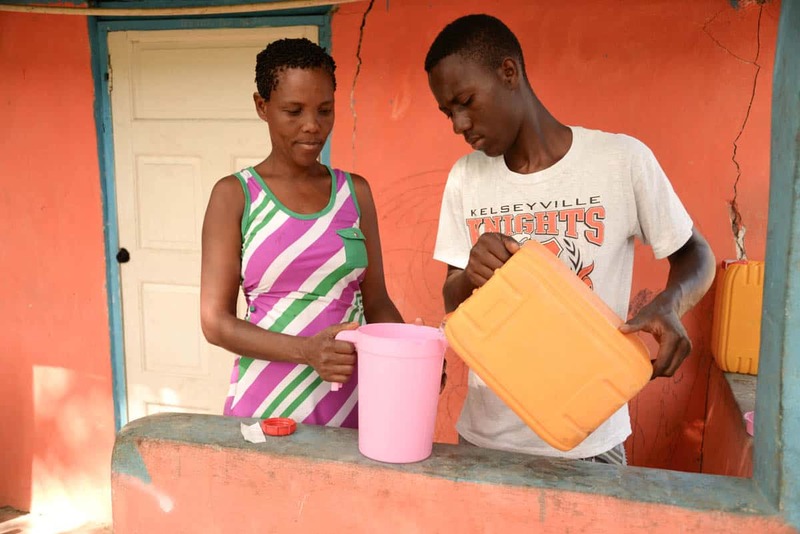 Over the long term, the benefits of clean water will spill over into the community as young people, like Maykelson, can better focus on school, achieve their dreams, impact their community and pursue life in good health. Prev Post:Drought in Ethiopia: A Déjà vu Famine?Next Post:How Is Easter Important to a Teen in Poverty?